On today's episode of the podcast, we have the press conference for the upcoming Warner Brothers film GOING IN STYLE. 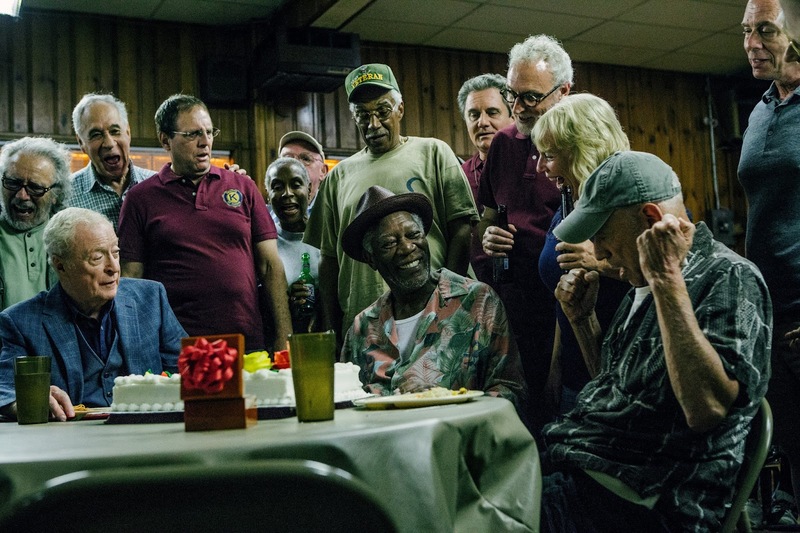 Oscar winners Morgan Freeman (“Million Dollar Baby”), Michael Caine (“The Cider House Rules,” “Hannah and Her Sisters”) and Alan Arkin (“Little Miss Sunshine”) team up as lifelong buddies Willie, Joe and Al, who decide to buck retirement and step off the straight-and-narrow for the first time in their lives when their pension fund becomes a corporate casualty, in director Zach Braff’s comedy. The film also stars two-time Oscar nominee Ann-Margret (“Tommy,” “Carnal Knowledge”) as Annie, a grocery cashier who’s been checking Al out in more ways than one and Joey King (“Wish I Was Here”), as Joe’s whip-smart granddaughter, Brooklyn. John Ortiz (“Silver Linings Playbook”) stars as Jesus, a man of unspecified credentials who agrees to show the guys the ropes, and Peter Serafinowicz (“Guardians of the Galaxy”) as Joe’s former son-in-law, Murphy, whose pot clinic connections may finally prove useful; with Oscar nominee Matt Dillon (“Crash”) as FBI Agent Hamer; and Christopher Lloyd (“Back to the Future” trilogy) as the guys’ lodge buddy, Milton. Zach Braff (“Garden State”) directs from a screenplay by Theodore Melfi (“Hidden Figures,” “St. Vincent”). Click play on the embedded player below to hear the press conference featuring Morgan Freeman, Michael Caine, Alan Arkin, Ann-Margret, John Ortiz,and Christopher Llyod.